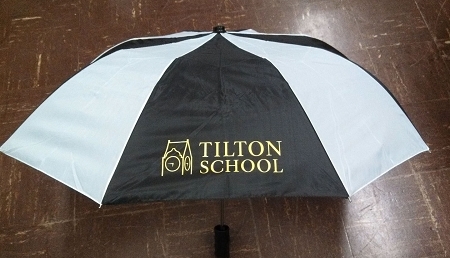 StrombergBrand 46" black and white umbrella with Tilton School logo imprinted in gold. Vented top. 100% nylon.